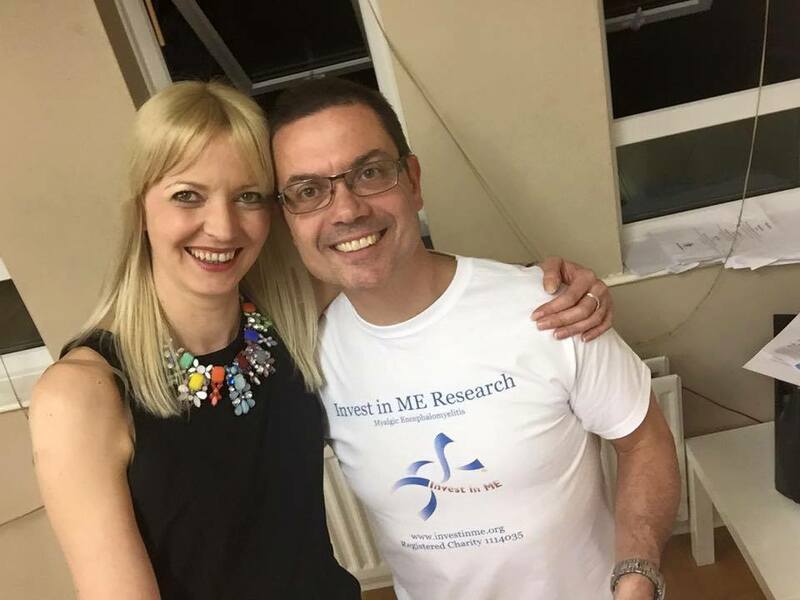 Invest in ME supporters made March another marvellous mixed bag of awareness & fundraising for the charity’s biomedical research funds for myalgic encephalomyelitis. Thank you each & every one! 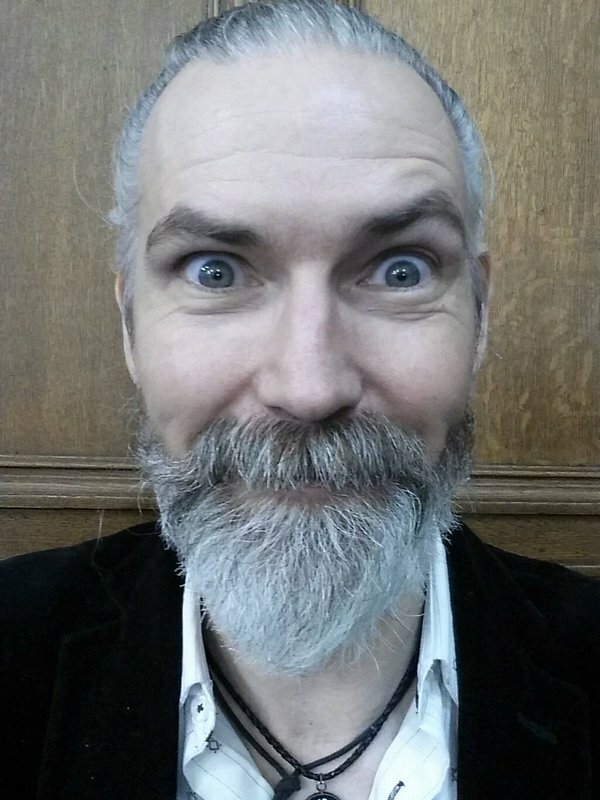 Actor Jon Campling took along his Invest in ME charity collection box to another Comic Con event, this time in Oxford: “Huge Thanx 2 all who #rattledmybox” Next stop Scarborough! Joe Jarvis and Kelly Samuels went sugar-free. 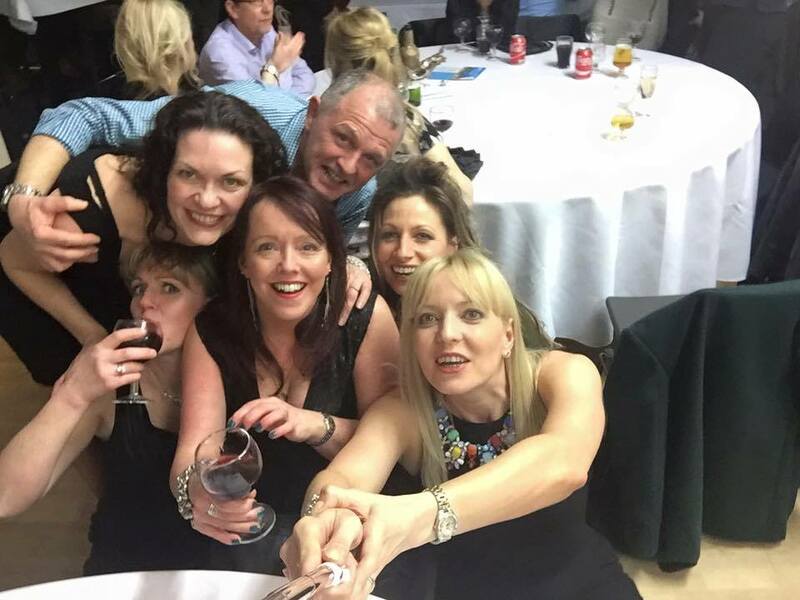 Elaine English completed her blog marathon for charity – 27 short blogs in 27 days on the theme of gratitude, and well worth a read if you missed them through the month. 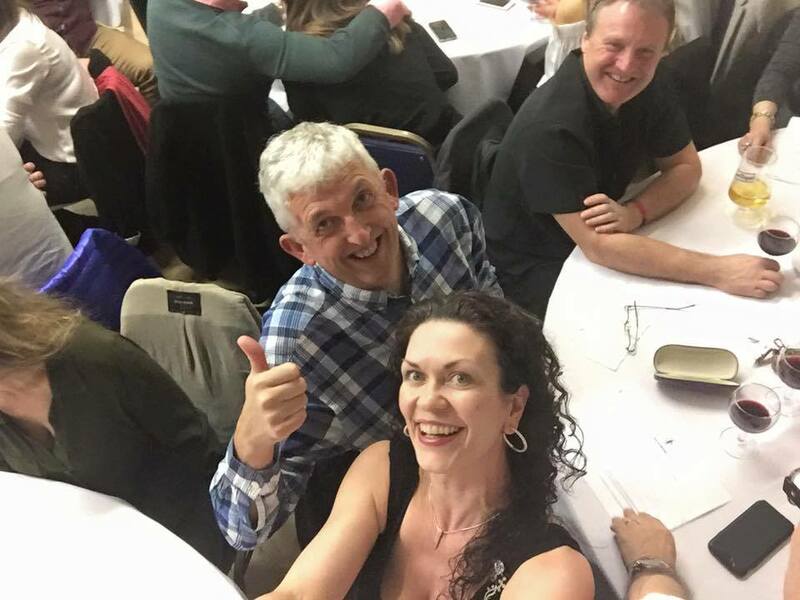 Kirsty Rankin and Chris Dusgate kindly celebrated their birthdays by inviting donations to Invest in ME Research Funds, including a very generous £1200 to the Invest in ME Rituximab Trial Fund. Amanda Kayes & Richard Pughe reached the summit of Kilimanjaro, raising over £9000 between them and a great deal of awareness. You can see their outstanding awareness flyer in our blog here. 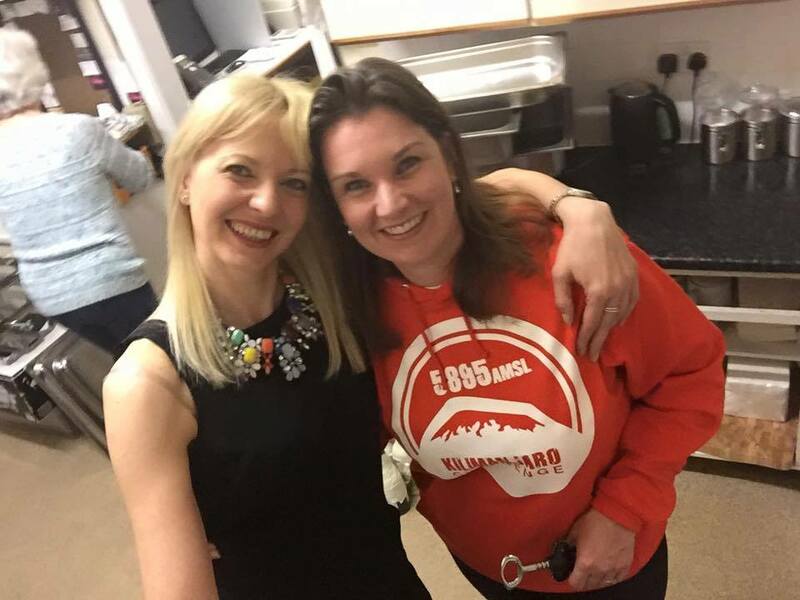 Tanya Mawer published her plans for her 2016 Walk for ME. “Why do this? Because I WANT, NEED, to get better! I have cared for and watched my daughters suffer with this illness and now have it myself which is limiting my ability not only to care for them but also for myself. I have so many lists of plans I want to fulfill and can’t right now ~ hopefully with the research by Invest in ME I will be able to tick them off in the future. Til then it’s a case of life on hold.” Click here to read and share her full story. Makayla Nunn did the first of her 2016 Walks with the Animals .. with an alpaca! 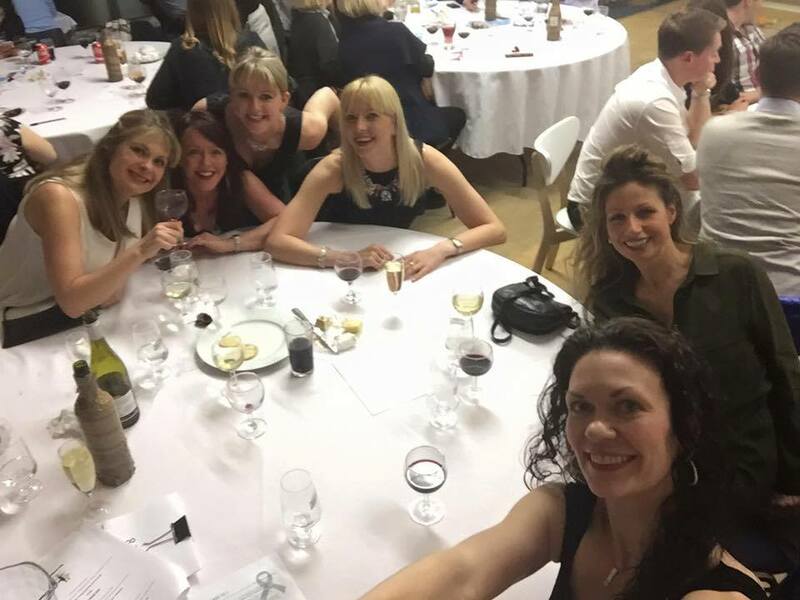 Becca Hams & Ali Head organised a successful Secret Easter 2016 with donations to Invest in ME here. 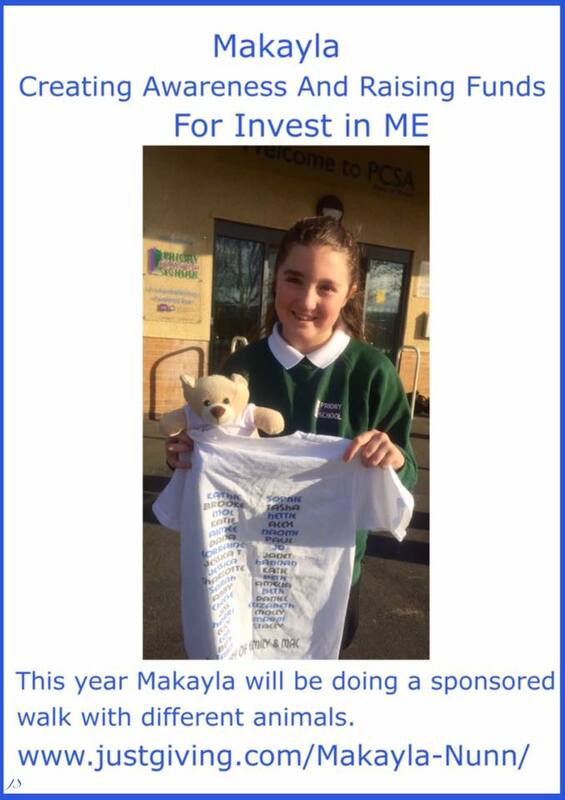 Becca also nominated Invest in ME for the Candis Charity Challenge 2016. Brain Awareness Week saw the launch of Together Under the Umbrella, an initiative of the European Federation of Neurological Associations (EFNA) which the European ME Alliance (EMEA) joined in 2015. Invest in ME is a founder member and chair of EMEA. ME has been classified as a neurological disorder by the World Health Organisation since 1969. The ‘itis’ in Myalgic (muscle) Encephalomyelitis (inflammation in the brain and spinal cord) points to the immune response involved in ME. The focus of the Invest in ME Research strategy is the role of infection and the immune system, including autoimmunity, whereby the body attacks its own cells or tissues. We were honoured to publish a guest post by American writer Stephanie Land, and her articles have also featured this month in The Huffington Post and Your Tango. 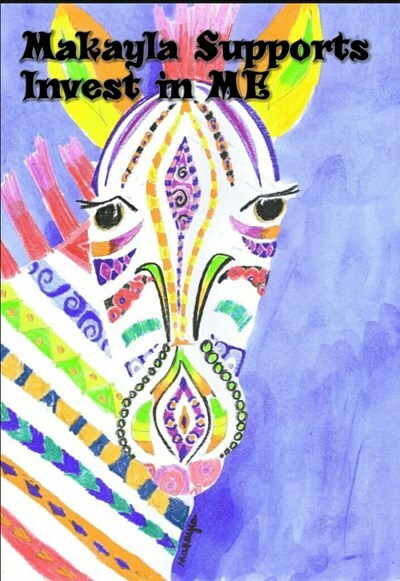 Stephanie is determined to raise awareness since finding out about the severity of her friend’s illness, Myalgic Encephalomyelitis, more commonly called Chronic Fatigue Syndrome in USA, and by most international biomedical researchers as ME/CFS. 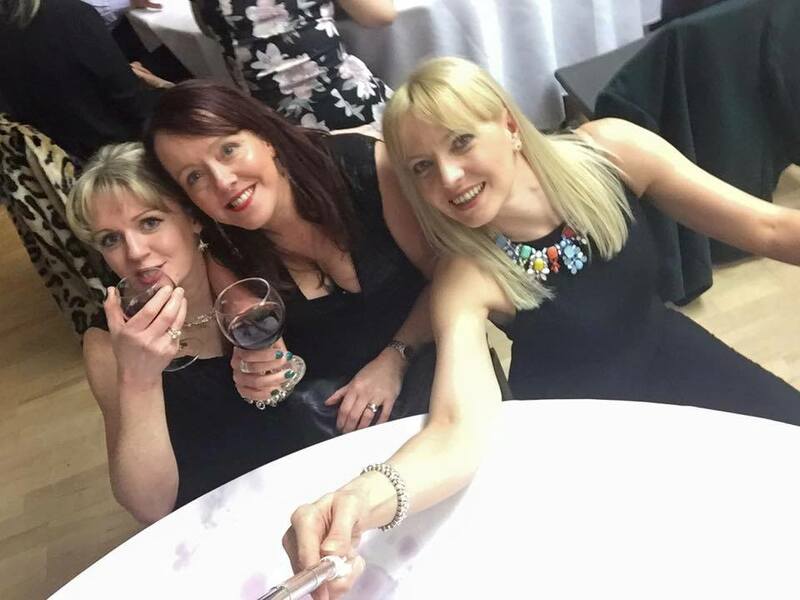 We saluted Kathleen McCall as one of the unsung heroes – always unselfish in her time for others, having started the charity Invest in ME, establishing the foundations for a proper strategy of research, and having continued all these years despite being severely affected with ME. A real inspiration on International Women’s Day. Click here to read her message for the 11th Invest in ME Conference June 2016. Click here to see the new page we created to feature 2016 fundraisers. Whether you’re fundraising or spreading the word you’re helping to fund IiME’s game-changing strategy for biomedical research into ME – and we thank you! Sunday 3rd, Thessaloniki, Greece: Mike Harley runs the International Alexander the Great Marathon. 9th & 10th, Scarborough, UK: Jon Campling at Sci-Fi Scarborough with his charity box for Invest in ME. The current TopCashback bonus for getting friends and family to sign up and use the UK’s highest paying money back site when shopping online is a generous £20. This offer ends at 10 a.m. on 29th March and applies to UK residents only. Paul has raised over £320 this way for Invest in ME. Thank you & your friends & family for your support! 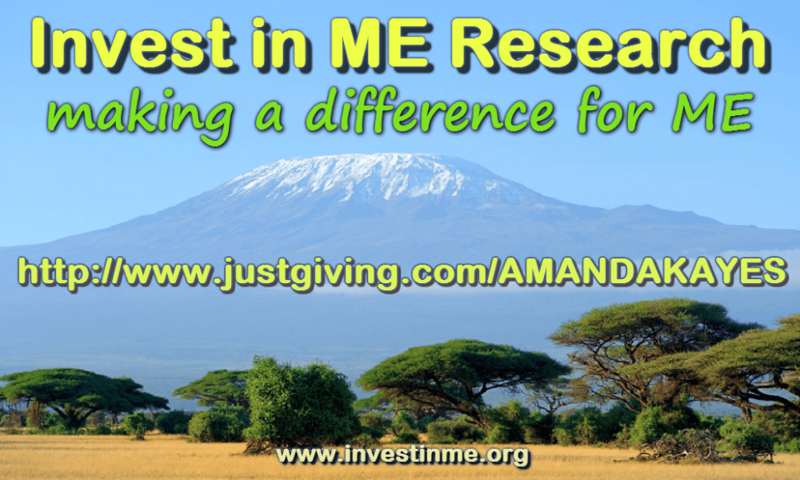 Let’s Do It for ME co-founder Paul Kayes’ amazing sister Amanda and her husband Richard are doing a great job raising awareness and funds for Invest in ME Research with several events planned – their biggest being the ambitious task of climbing Kilimanjaro. For some time now we have been thinking about what we could do as a big personal challenge that could result in making a difference to others. We have decided, in our wisdom, to climb Mount Kilimanjaro in March 2016 – a 7 day trek to reach the 5895 metre summit of the highest free standing mountain in the world and the tallest mountain in Africa. As Amanda really doesn’t like walking (or sharing smelly toilets!) and Richard is afraid of heights, not withstanding the difficulties of altitude sickness and 8-12 hour treks per day, it should indeed be quite a challenge! 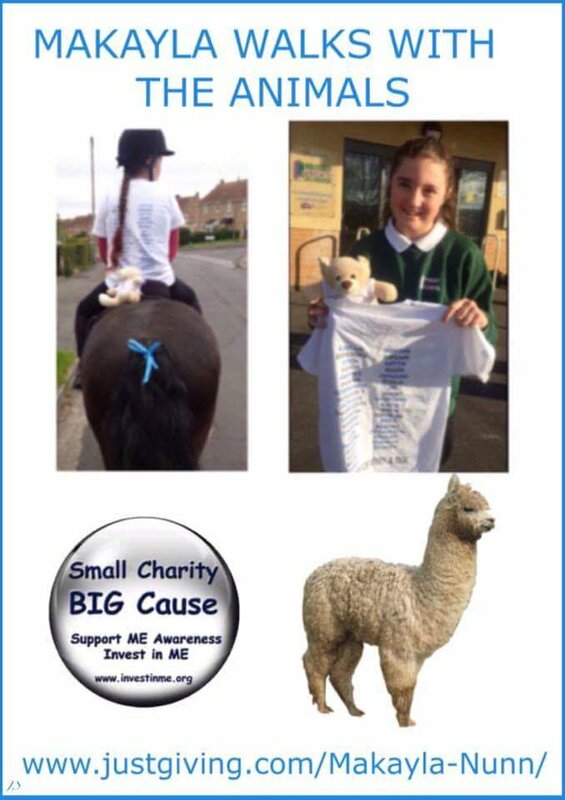 We are doing this challenge in order to raise money and in particular awareness of a small independent UK charity very close to our hearts – Invest in ME Research. 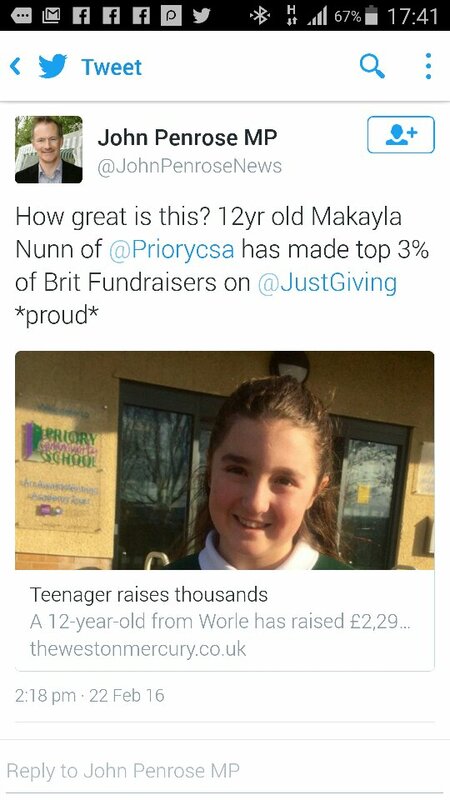 Every penny will go to the charity! Well in 2002, Amanda’s brother, Paul Kayes, was struck down with M.E. (Myalgic Encephalomyelitis) following a virus. He was very fit, active, had a good job, a loving wife and two children, yet this illness showed no mercy as it gripped his body and as a result, for the last 13 years he has become virtually housebound and most of the time is confined to his bed. His only hope is that a cure for ME is found. 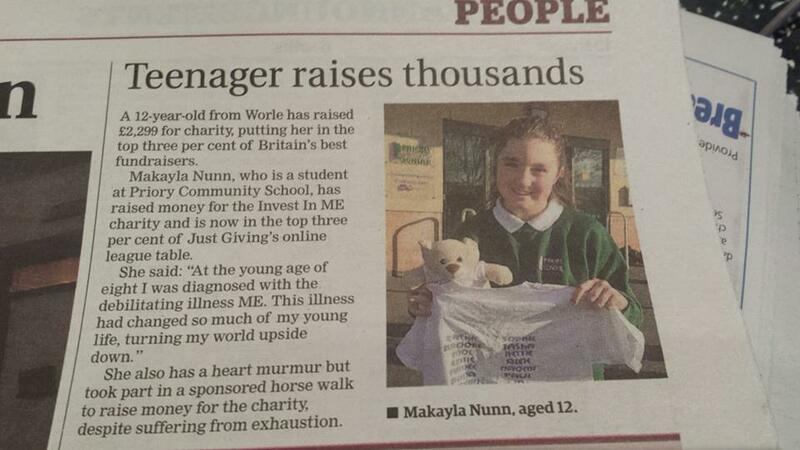 Invest in ME is run on an entirely voluntary basis by sufferers and parents of children suffering from M.E. Every penny they receive goes towards finding the cause and cure for this horrible illness whilst also trying to educate health care organisations and the public. Their most recent push is to raise funds for Biomedical Research into ME and have already laid foundations for a UK Centre of Excellence for ME Research. We want to help them take a step closer to reaching their goal, so that one day soon, a cure can be found to help Amanda’s brother, and other sufferers, to get their lives back. We also want people to understand more about M.E. so its sufferers don’t feel so misjudged. So, what exactly is ME? ME is a debilitating illness that affects 250,00 people in the UK (a prevalence higher than HIV or multiple sclerosis) and around 17 million worldwide. 25% of sufferers are severely affected to the point they are effectively house or bed-bound. 10% are children. There is no cure. Even the cause is unknown, as so little research has been funded to date, although it often follows a viral infection. ME is thought to be primarily a neurological disease with symptoms such as extreme physical and mental exhaustion, muscle weakness and paralysis, joint pain, head pain, blurred vision and severe dizziness or blackouts, vertigo, insomnia, respiratory problems, noise and light sensitivities, cognitive impairment, digestive problems and a host of other symptoms. ME doesn’t prey on the weak, it can hit anyone…..strong men, active women, healthy children….at any time. It can last anything from a few months to a lifetime. It can kill. Sufferers feel misunderstood, misjudged and isolated. Pictured is a young girl called Merryn. She suffers from severe ME, having been struck down with it aged 15. She was an active teenager, loved school and was part of an acting and modelling agency. Now she is bed bound, in constant pain, needs 24 hour care, is unable to walk talk or swallow and has been diagnosed with intestinal failure. Doctors fear for her life, yet Merryn continues to fight and supports other ME sufferers as well as raising awareness through Invest in ME. This is only one story. These people need our help… and to know we care. Don’t just take our word for it. We asked some ME sufferers to try to put into words what it’s like to have ME and what they would like people to know about how they truly feel. Hayley Green 27, sufferer for 8 years. Nicola Lavin 37, suffering for 14 years. Jade Thomson 32, sufferer for 3 years. Rosie Cox 52, sufferer for 45 years. Also available on their webpage. 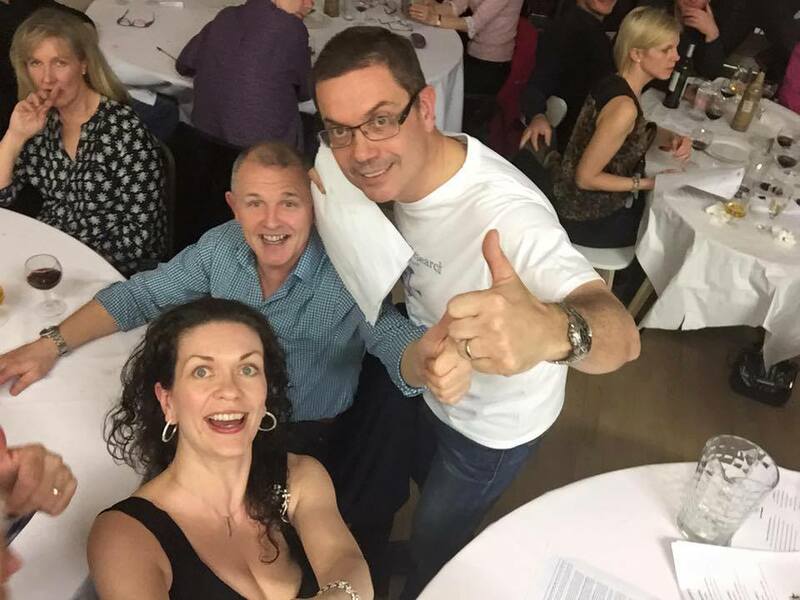 As part of their fundraising and awareness drive Amanda and Richard hosted a wine tasting competition on Saturday with 90 guests and raised an intoxicating £1470. 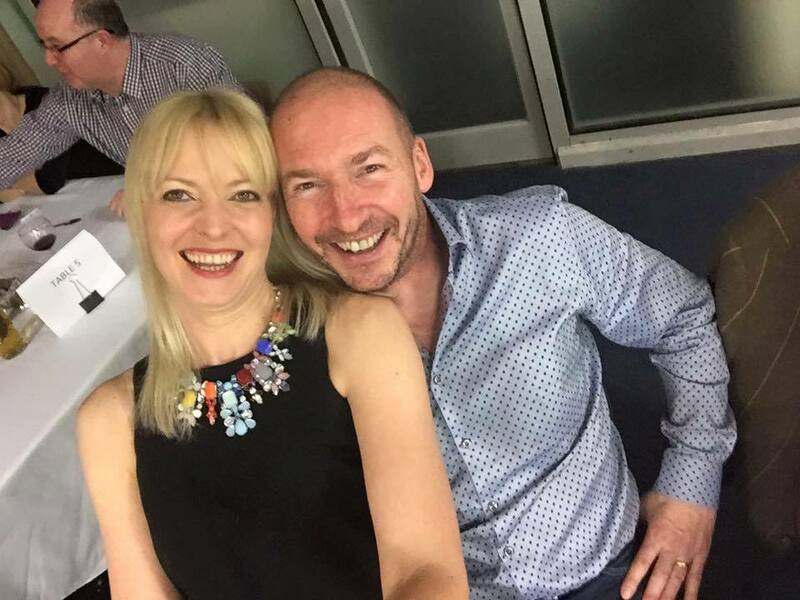 Amanda’s brother Paul, who has been laid low recently and was greatly missed, shared news of the event to our Facebook page Monday. Of course the main event is still climbing Kilimanjaro and you can read the leaflet they created for this event here.